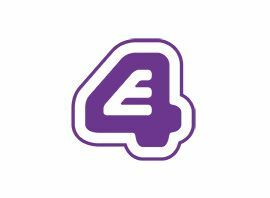 E4 is a British digital television channel, launched as a pay-TV companion to Channel 4 on 18 January 2001. The "E" stands for entertainment, and the channel is mainly aimed at the lucrative 15?35 age group. Programming includes US imports such as The Cleveland Show, The O.C., Smallville, Veronica Mars, Everwood, What About Brian?, Desperate Housewives, How I Met Your Mother, 90210, One Tree Hill, Ugly Betty, Scrubs, Rules of Engagement, The Big Bang Theory, 2 Broke Girls, Revenge, and formerly Friends. Other programming includes British shows such as Skins, My Mad Fat Diary, Misfits, The Inbetweeners, The Ricky Gervais Show, Shameless, Hollyoaks, and Made in Chelsea. Some US imports, such as Desperate Housewives and Ugly Betty are screened on E4 up to one week ahead of their Channel 4 broadcasts. Its most successful broadcast to date was on 11 October 2010 when an episode of The Inbetweeners pulled in over 3.7 million viewers. In August 2005, following the close of that year´s Big Brother, E4 introduced the E4 Music programming block. The slot initially ran through much of the morning/daytime schedule, though was later reduced to mornings only, with the amount of scripted comedy and drama screened in daytime increased. At 10am on Thursday 4 June 2009, the day before the launch of the 2009 Big Brother series, E4 Music ceased broadcasting.